Sara is an American Singer-Songwriter with Midwestern roots, currently based in the Bay Area. 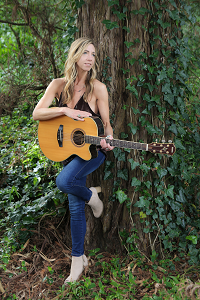 She performs original, acoustic folk-rock- Americana, singing and playing guitar. Sara is the youngest of eight, in a family of musicians. With Mom’s influence as a piano teacher, Brahms and Britten on the airwaves, David Byrne, Liz Phair, and John Prine on the radio, and siblings that knew and shared songs on the guitar, it was natural that Sara would begin to write and sing, herself. Sara’s soulful songs are born out of the south side of Chicago, and are textured with inspiration, grit, and warm California sun. Melodic phrasings of love, journey, and joyful spirit are at the heart of Sara’s songs. Influenced by female artists like Gillian Welch, Jenny Lewis, and Emmylou Harris, Sara has vocal style has been compared to Joni Mitchell, Jewel, and Iris Dement. Sara began her California journey in 1998, and began her career as a solo artist after having earned her Master’s degree in social work. Sara has been living in the Bay area since 2011, and has performed at many well-known venues, including the Hopmonk Tavern, Hotel Utah, Bazaar Cafe, The Parkside in San Francisco, Napa City Winery, Silo’s, Blue Note, and Fenix in San Rafael, as well as many local festivals, including San Francisco and Napa Porchfests and BottleRock 2014. Sara can be found at local coffeehouses, playing private events, parties, weddings, and celebrations, when she’s not penning and recording new tunes born from genuine, honest expression of life’s way. Sara’s recent EP “Songs for Under Skies” is available on Spotify, CD Baby, and iTunes.